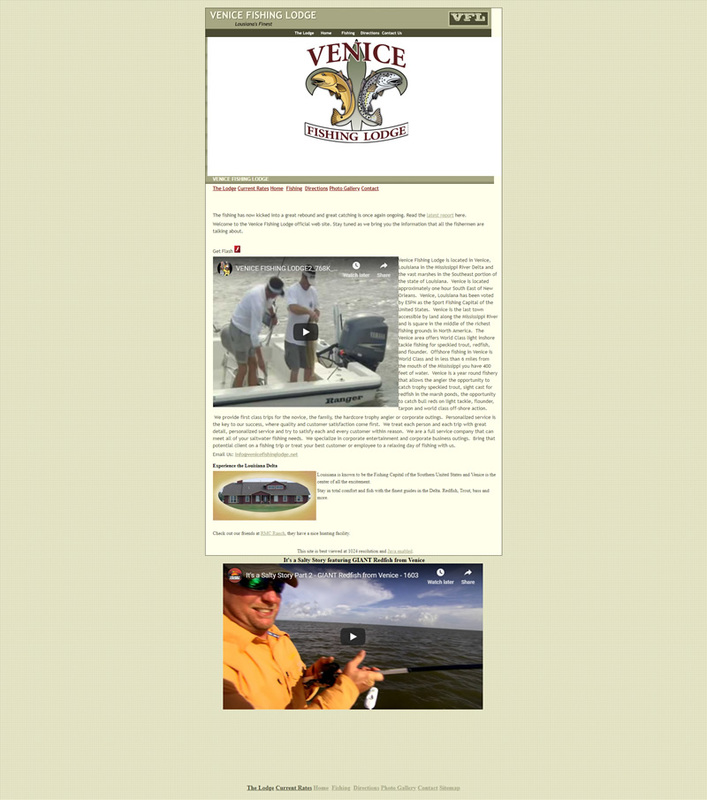 Our new website for Venice Fishing Lodge is easy to navigate, with large call-to-action buttons. There is a clean navigation menu that's visible regardless of the page you're on. Venice Fishing Lodge is located in Venice, Louisiana where you can fish, eat and relax, as the staff facilitates personalized fishing trips catered to your needs. Whether it's a family get away or a corporate retreat, Venice Fishing Lodge makes you the priority. Their two-story, 6,400 square foot home away from home is visited by fishermen from all over the world.